For example,file"A.wav"is the audio file you have prepared. The size and the length of the audio file you have prepared IS NOT LiMITED. 20KB is OK. 200KB is OK.1 second is OK.10 second is OK.
! !To me SURPRISE,The game program will NOT check the files.!! 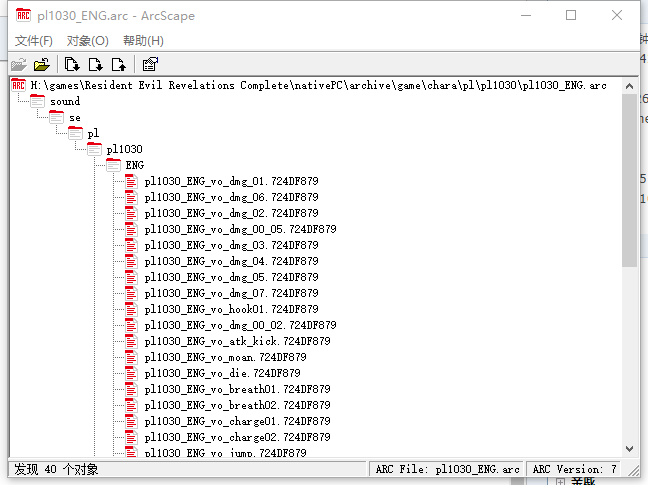 Even you use the *.xsew files from Relevations 2 to replace the files in Relevations 1 ,is OK.
Or use "pl1030_ENG_vo_charge02.724DF879" to replace "pl1030_JPN_vo_jump.724DF879" ,is OK.
Just click this button and select the *.arc files. For example，i unpack the file “Game folder\nativePC\archive\game\chara\pl\pl1030\pl1030_ENG.arc".This is Jessica's English voice file. If you want to edit other language,select different language file. In game,when you press your left mouse button to let jessica use her knife,the game program will play "pl1030_ENG_vo_charge01.724DF879(.724DF879=.xsew they are the same)" and"pl1030_ENG_vo_charge02.724DF879". Now i want to edit "pl1030_ENG_vo_charge01.724DF879". Select the file and click the 4th button.Export it.
! !MAKE A COPY of it,rename it "pl1030_ENG_vo_charge01.724DF879.backup"!! Use Goldwave to open "A.wav"and"pl1030_ENG_vo_charge01.724DF879",if there is a error,skip it. Now remove all the audio in "pl1030_ENG_vo_charge01.724DF879" , copy the audio from "A.wav" and paste in "pl1030_ENG_vo_charge01.724DF879" .Just save it.Close Goldwave. DO NOT do other change to the file.!!! Use Ultraedit to open "pl1030_ENG_vo_charge01.724DF879.backup" and "pl1030_ENG_vo_charge01.724DF879".Scroll down to the end of them. 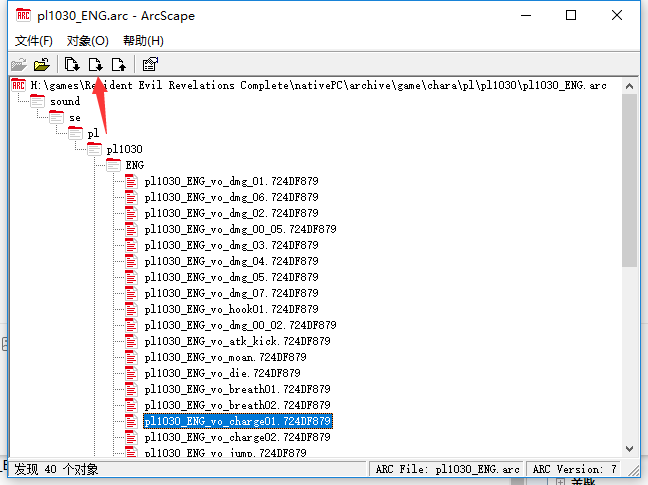 Use the data in"pl1030_ENG_vo_charge01.724DF879.backup"from "smpl<......"（HEX 73 6D 70 6C 3C）to the end of file to overwrite the data in "pl1030_ENG_vo_charge01.724DF879" from "fact...."(HEX 66 61 63 74) to the end of file. Select the file in *.arc you want to be replaced.Click to the 5th button. Close the *.arc in ArcScape. 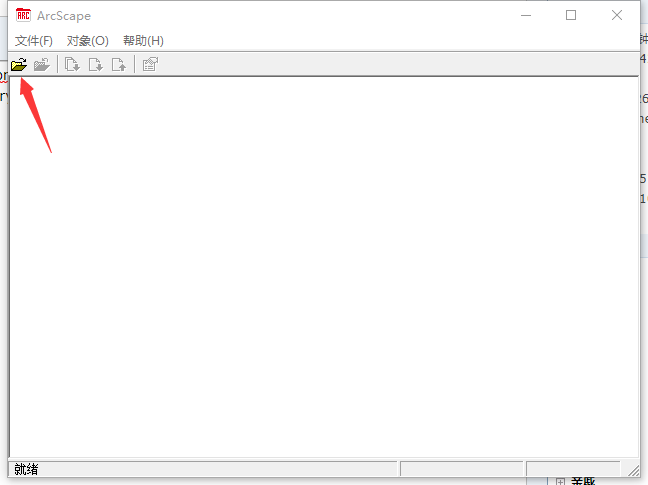 I think Capcom just replace the end of .wav to let the game program know when to stop reading files. But the sound effects never worked. do you know something similar for Resident Evil 5 sound effects maybe? Awesome work and thanks for sharing with us. Thanks to you, this game has more features and interesting things for modding. Resident Evil 5 next please! We are dying for custom sound effects there. I just have this tool,but I don’t know how to use it correctly on pc version sound file. 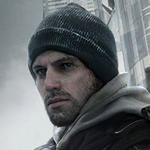 It seems that it just work on PS3 version file. For more,I think you should ask newkhris for help.He has exported the sound correctly.